Need to coordinate a luxury transportation for the bride and bridesmaids? Perhaps the groom and his men? Luxury Party Bus Hawaii and limo rental services is the perfect unique solution to coordinate your wedding court and/or guest transportation needs. Our party buses are built with luxury and expresses class, which makes for perfect transportation for a Hawaii wedding. Our professional, prompt and service oriented drivers offer their full-service services. They will gladly coordinate with the wedding's coordinators, directors, or whomever is in charge, to make sure the bride and/or groom makes for their grand entrances to the wedding ceremony and reception. We strive to make your wedding a very memorable one. 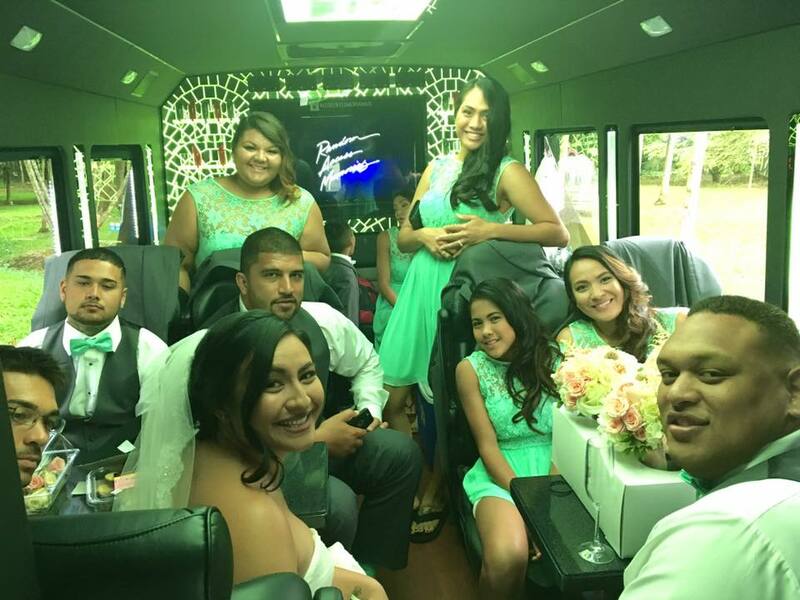 A wedding plus Luxury Party Bus Hawaii, makes for a great marriage! Call us today at (808) 725-3028 to book Hawaii's luxury party bus for your wedding transportation needs!